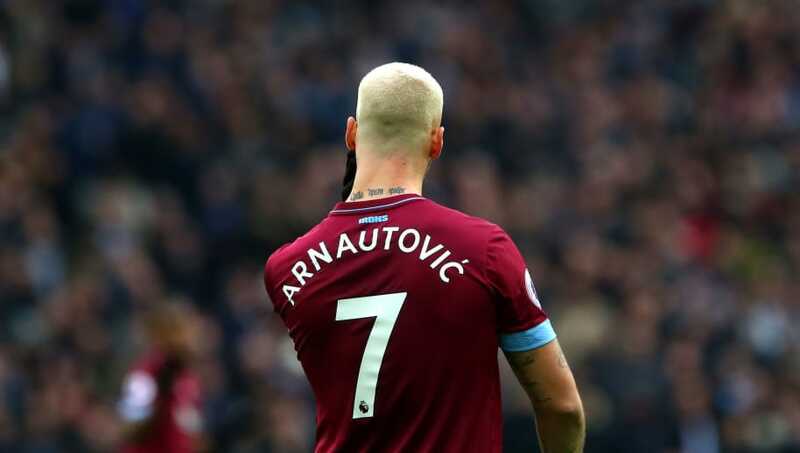 Chinese Super League side Shanghai SIPG are believed to be preparing an improved offer for​ West Ham United's Marko Arnautović, with the club set to bid £45m for the striker. Since being successfully converted from a winger to a forward last season, the 29-year-old has become a highly coveted goal scorer, with a number of top sides taking an interest. With Chinese Super League side's looking ready to splash the cash again, Arnautović could become the latest Premier League star to embark on an adventure in the Far East. According to the Times, the ​Hammers rejected a bid in the region of £30m-£35m last week, with the club seemingly eager to hold onto the powerful frontman. However, the report revealed that the player is desperate to leave the club, and has already agreed terms on an eye-watering, £300k-per-week deal with the Chinese side. West Ham broke their transfer record to sign Arnautović for £20m in 2017, bringing in the 6ft 4in ace from ​Stoke City. In similar circumstances to their forced sale of Dimitri Payet in 2016, the Hammers look set to lose another key player lured away by a lucrative contract. Arnautović's current deal runs until 2022, and the Potters will be due 20% of his eventual transfer fee. It seems like it will be a matter of when, rather than if the former Werder Bremen man leaves the Irons this month. The Hammers board are unlikely to sanction an extension on his deal, given that he already earns £100k-per-week. A wage-trebling offer would be hard for anyone to turn down, and it appears that Arnautović's days at the London Stadium are numbered. Meanwhile, ​West Ham midfielder Pedro Obiang has been linked with a January switch to Serie A side Fiorentina. The 26-year-old has played a bit-part role for the Hammers this season, with their wealth of midfield options available to manager Manuel Pellegrini seeing the Equatorial Guinea international confined to the bench for much of the 2018/19 campaign.